DUNLAP – Northridge has made a runaway with the girls swim regular season once again, but the tournament could offer a few surprises. The Northern Lakes Conference Girls Swimming Championships is Northridge’s to lose, but it’s very possible not all the event titles have ‘NRID’ next to the name Saturday afternoon. The NLC dual season has seen Northridge run 7-0 once again, reclaiming its perch atop the league as it has for most of the past decade. But a trio of returning individual champions stand poised to at least throw reign on what has been a Raider parade this swim season. Northridge defends its team title at the NLC despite only having three returning event champions. Sophomore Sydnee Emerson in the breaststroke and junior Katie Hughes in the 200 free along with the medley relay team won titles for Ridge a year ago, but the machine has reloaded. The medley has been a Ridge staple this season, posting times at or near 1:50, which is by far the tops in the conference. Hughes and Emerson both have swam the respective individual events, and have been dominant. Emerson, for example, swam a 1:07.34 in the breast against Wawasee, which was a full second faster than her championship time last year. 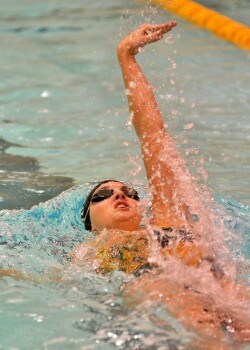 Ridge sophomore Lauren Miller defeated defending individual medley champ Paige Miller of Wawasee head’s up last week by almost two seconds and Lauren Miller has also become the conference’s top backstroker, filling the void Wawasee’s Breanna Robinson held for a good portion of the past four years. Sophomore Melissa Bailey of Northridge has also taken over as the top butterfly swimmer in the NLC in Robinson’s graduation void, with teammate Francesca DeGregorio right there. If the stars align, Paige Miller, a junior, and Hughes could stage another epic final in the 500, which was won by Miller in one of the top races at the 2015 NLC. Senior Sydney Boyer, junior August Hartzell and sophomore Jenna Miller and the diving trio of junior Rylee Dahlman, and sophomores Sara Troyer and Mary Grossman will all score major points. Wawasee and Concord won’t go down without a fight, but don’t have the depth to keep pace with Ridge. Concord’s youth need time, but have carried the team this season. Freshmen Jillian Dawson, Olivia Trout and Makayla Miller as well as sophomores Maddisen Lantz, Alex Beer and Veronica Lidy have all played significant roles. Lantz, Beer and Makayla Miller have all pushed the top dogs in the conference, and should be a factor. Concord junior diver Lauren Boone returns to defend her title, to which she set the NLC record with 472.40 points last January. Wawasee will need a huge day from its returning core of Miller, senior Kayla Hershberger, senior Mikala Mawhorter and junior Shelby Adams. Hershberger and Miller have stood on the championship podium before, and Adams owns the school record in the breaststroke. But do the Warriors have enough to break through once again? The meet will give the opportunity for Warrior junior Madison McBride, sophomore Lizzie Brugh and freshman Alyssa Koch, as well as senior diver Hannah Rhoades, more competition experience. Warsaw junior Brenna Morgan will have a huge challenge in front of her. Morgan has swept the 50 and 100 championships her first two seasons at the NLC, and has held serve this season in the conference duals. Morgan, however, could switch to the 200 from the 50, which would parlay Morgan into what is already a very deep 200 field. Seeing more room to operate at the state level in the 200, Morgan’s showing at the NLC could be one of the more interesting follows of the weekend. The NLC will also be a showcase opportunity for Tiger freshman Delaney Wihebrink, who has come on strong in her first season, as well as for sophomores Lauren Kuhl and Laurel Moeller. 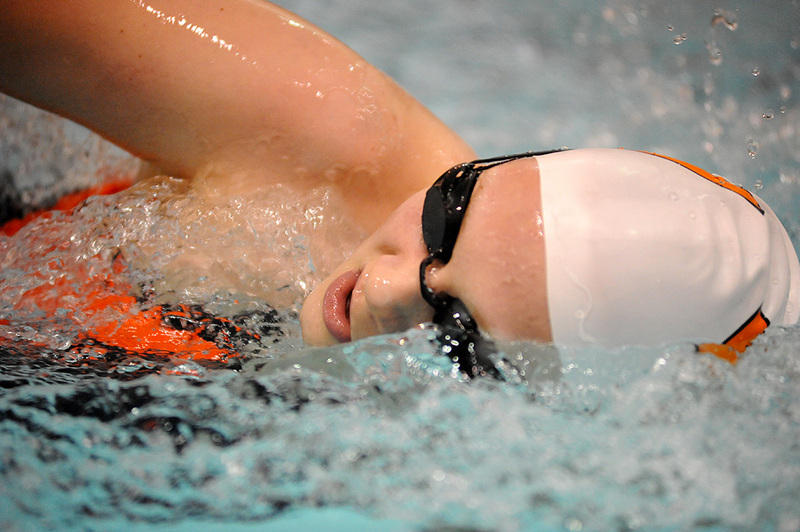 Freshman Audrey Curson could also make some Saturday moves, as well as junior breaststroker Bridgette Yoder, who returns to the NLC after swimming with Wawasee her freshman season. Goshen quietly has made improvements this season, and could see some fireworks from Emma Hussey, who should be good to go in the 100 and 200 freestyles. Preliminaries for the NLC meet begin at 5:30 p.m. Thursday at Concord and pick up again at 1 p.m. Saturday at Concord with consolation and championship finals in addition to diving finals.